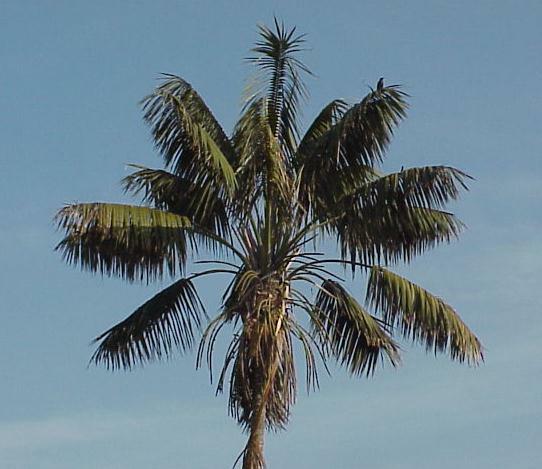 This palm is monoecious, with unisexual flowers of both genders. Solitary plants widely separated from others, with fruit, so there is sufficient overlap of anthesis for pollination on an individual plant. 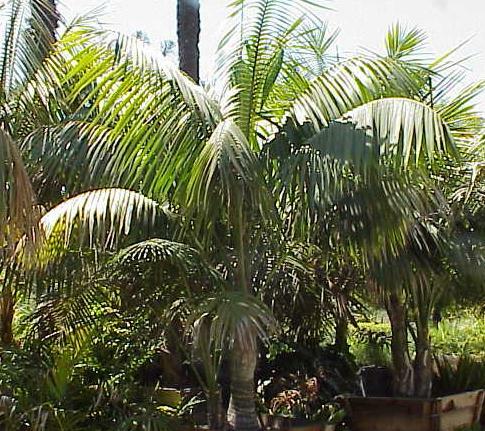 The seeds grow very slowly, taking 3 or 4 years to mature on the palm. Germination can take an additional 1 to 3 years more. 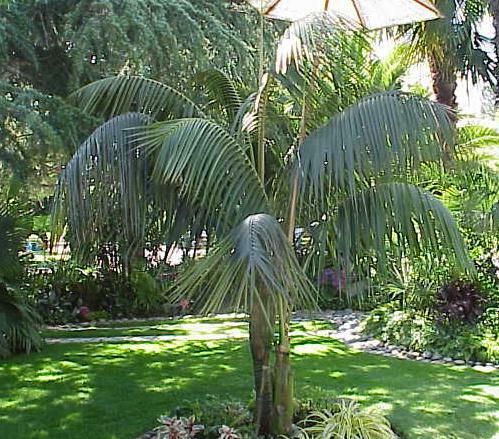 This is the most tropical looking palm that can be added to Northern California landscapes. This is also one of the most tolerant choices for adaptation to shade and indoor conditions. Traffic stopper when planted in groups.